After reviewing TeslaThemes and MyThemeshop, today I am going to review Dashing Themes (a brand new Wordpress themes seller in the market). In this Dashing Themes review, you will be able to know all about Dashing Themes, its features, and prices. As I said, Dashing Themes is a very new WP themes seller, so first of all, I would like to Introduce you Dashing Themes and Mr.Kulwant Nagi (founder of Dashing Themes). 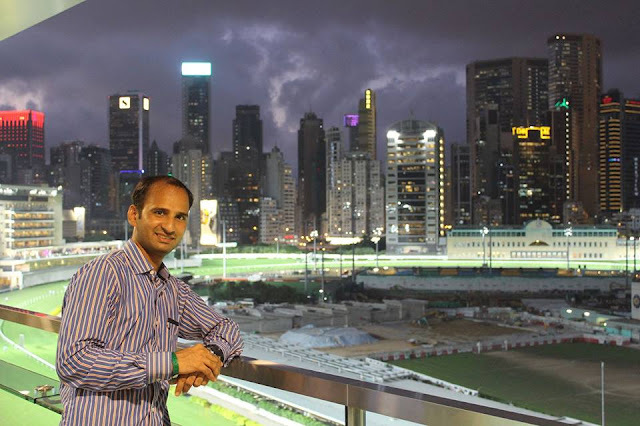 So, Let's have a brief Intro with Kulwant Nagi and his WP themes seller platform. Dashing Themes is recently founded by Mr.Kulwant Nagi. Kulwant Nagi is also the founder of a most popular blog "BloggingCage". He is a very experienced person in the field of Wordpress designing. He is one of the Highest earner bloggers worldwide. That is why it is highly recommended to buy themes from Dashing Themes as there is the mind of this experienced guy behind these themes. If you compare dashing themes with other Wordpress themes seller I am sure Dashing themes will always Win. Because I personally know this guy and how good he is doing. He is helping thousands of people with their blogging issues. He is a known affiliate marketer and have a great experience in WP themes. He is aware of all the issues that a Wordpress users face in the WP themes and designing (Coding issues, Non-Responsiveness, slow loading themes, etc.) and he has tried to remove all these issues and make the themes super fast, SEO optimized and responsive. You can read more about Kulwant Nagi by clicking here. So now I will proceed to Dashing themes review. Currently, Dashing Themes has total 4 Themes and they are working hard to increase the number of themes. As I talked with Dashing Themes and they said they are almost ready with 10 more themes at their backend and will make it available on the website soon. Dashing Themes offers premium support to their buyers with forums and complete online documentation. It also helps in the customization of themes. All the themes available on Dashing Themes are fully responsive. 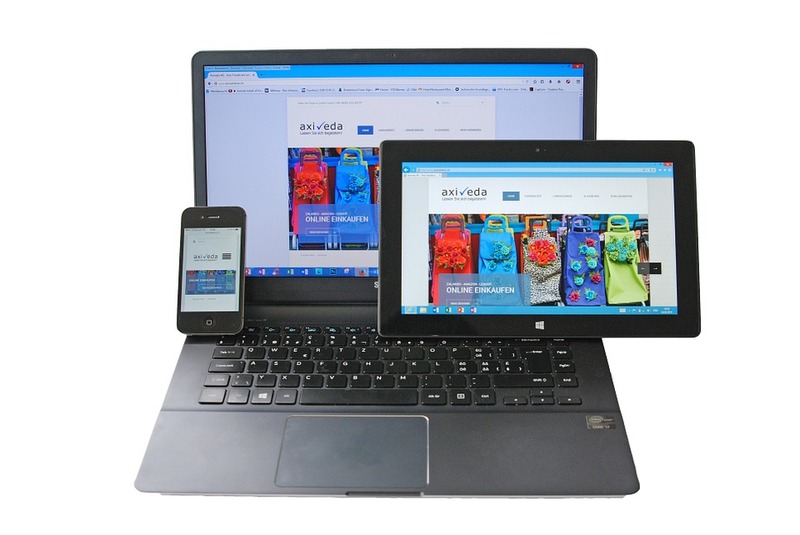 It can easily be accessed from all devices like Mobile phones, Tablets or PCs. All the themes look pretty and attractive. All the themes are easily customizable. You can also customize the themes yourself according to your need. All the themes of Dashing Themes are SEO friendly. These themes are designed by keeping in mind the search engines algorithms and other aspects for a website. As we know now loading speed of a site is one of the major ranking algorithms for a website. If a website has slow loading speed then users don't wait for the site to load but they simply close the page and go to some other page that might me your competitor's page. Again, if you buy Dashing Themes you will get fast loading themes which will make your websites load faster. At this moment, they are answering the queries of their users almost within 24 hours. But soon they are about to start instant messaging and live chat support for their users. If you are the user who bought a theme but later you felt that you are not satisfied with the theme, no worries you can ask for the refund by giving proper and genuine reason. License of a single theme is valid for unlimited domains. Means, you can use the same theme to your unlimited websites and you will get latest updates of themes for each and every website. Currently Dashing Themes accepts only Credit Card and PayPal. But they have a plan to launch more payment processors soon. Yes, Dashing Themes has also an affiliate program. They are offering 70% commissions on each sale made by their affiliates. Get 85% OFF ($50 Discount on Every Theme), Grab it Now! After reading this post do not forget to share your experience with this. If you have any suggestion for Dashing Themes you can write here. Also, if you face any problem with this site then don't feel hesitate in asking your queries here using our comment box. We are here to help you. 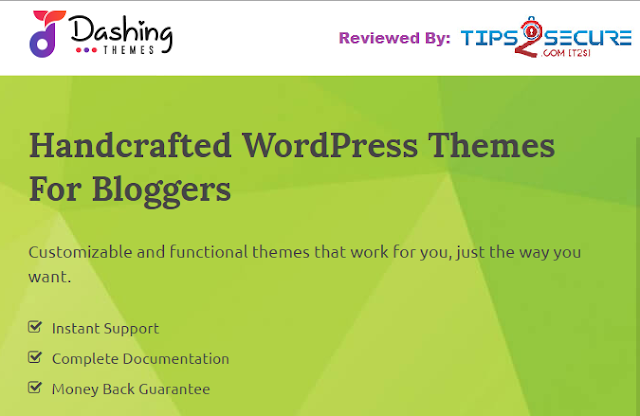 Message: I hope that you have enjoyed 'Dashing Themes Review: The Highly Recommended WordPress Themes Seller 2017' article. However, if you want me to deliver more items, then please share my post. You can use Social Sharing Widget provided at the end of every post. After all, Sharing is Caring!